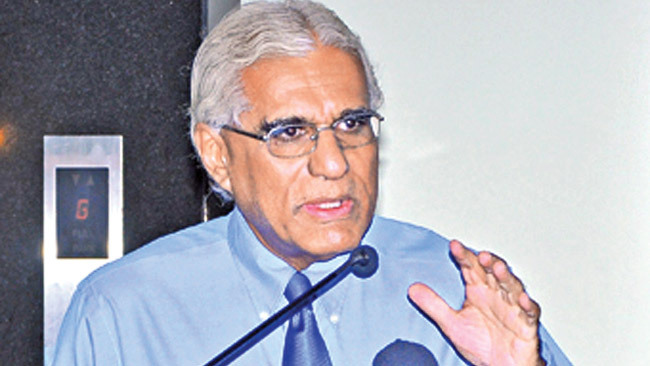 The Ceylon Chamber of Commerce (CCC) warmly welcomes the appointment of Dr. Indrajit Coomaraswamy as the Governor of the Central Bank of Sri Lanka and extends to him its best wishes as he commences a 6 year term. Dr. Coomaraswamy, a much respected economist with a stellar track record both in Sri Lanka and overseas, is eminently qualified for this position. He brings to this position a unique mix of skills and perspectives given his previous positions in the Central Bank, the Ministry of Finance, the Commonwealth Secretariat, and on the Boards of leading corporate entities as well as civil society organisations. The Ceylon Chamber too has benefited from Dr. Coomaraswamy’s expert insights; as he served on the Chamber Committee from July 2013 to August 2015 and was a speaker at several editions of the CCC’s Sri Lanka Economic Summit. The new Central Bank Governor is recognized for his ability to communicate complex economic issues to non-expert audiences, distill the effects of international economic events to their relevance for Sri Lanka, and provide an informed perspective of the opportunities and challenges emerging for the Sri Lankan economy. Dr. Coomaraswamy’s integrity, international experience, and formidable intellect are invaluable at a time when Sri Lanka seeks to expand its global footprint and is exposed to international capital markets more than ever before. His appointment will help restore public confidence in the country’s monetary authority and the Ceylon Chamber looks forward to extending its fullest support to the new Governor during his 6 year term. Finally, the Chamber urges all stakeholders to support the new Governor in his endeavor to guide the country’s economy towards stability and prosperity. “After consulting all parties concerned, I appointed top economist Dr. Indrajit Coomaraswamy to lead the Central Bank of Sri Lanka,” the president posted on Twitter. The announcement ended any prospect of outgoing governor Arjuna Mahendran being reappointed after his tenure ended on Thursday. He had indicated he was prepared to complete another term. Sirisena had come under intense pressure not to reappoint Mahendran, who had faced allegations of insider trading. A group of Sri Lankan academics and professionals had gone to court to demand action against Mahendran, a Singapore national of Sri Lankan origin. Activists had threatened to take to the streets unless the president replaced him. He was accused last year of leaking inside information to his son-in-law’s firm, allegedly allowing it to make millions of dollars in profits from a central bank bond auction. Mahendran has consistently maintained his innocence. Sri Lanka’s economy is under stress and last month began receiving the first tranche of a $1.5 billion bailout from the International Monetary Fund.